Student Pilot Increases Reading Speed To 1,168 Words Per Minute And Now Devotes His Life To Helping Others Become Fast Readers! A painfully slow reader at 156 words per minute, Jim Nilzon's life was awful. Clearing the psychological tests for pilots, however, he began commercial pilot training… but… was learning so slowly he had to read in the middle of the night just to keep up. Then he discovered the amazing reading system described on this page and increased his reading speed to a stupendous 1,168 words per minute in 15 weeks. His ground school instructor, Conrad Strickland, confirmed the otherwise normal man had been severely disadvantaged, and, half-way into his training, "was suddenly one of the sharpest students in class." His story, as revealed on this page, will serve as an inspiration to anyone who has ever suffered from slow reading and feelings of hopelessness. These two photographs show a young enthusiastic man who, in spite of severe reading and learning difficulties, was attempting to follow his dream to become a pilot, and almost washed out of flight school. But now, thanks to his amazing system called Speed Reading Secrets, has his "wings" and can read faster than most other people. It's true. I was actually afraid I was going to wash out of flight school because of my poor reading skills. My luck turned when one of my ground school instructors, a World War II fighter pilot named Conrad Strickland, suggested I try a "twist" on reading he had heard about. Incredibly, it worked. My speed shot up by about 50%. But the amazing thing wasn't so much that I was able to increase my speed – I was already reading much slower than the average person. It Only Took Me 2 MINUTES To Apply The Technique And Make It Work! Anyway, this "quick-fix" technique got me thinking… If it's this easy to bump your speed up by 50% in a lousy two minutes… what will it take to go higher… or even… MUCH higher? So I began digging around in the library of New Mexico State University (this is where I did most of my aviation studying) for books and research materials about reading and learning strategies. I skimmed local bookstores for any books about the brain. And I even sent for some special reports by mail from an expert in London. After a very short period of time of using the new technique and trying out combinations with some of the other methods I had found, I was able to read at a speed of about 450 wpm. By now, I was in control of my pilot studies, because my ability to learn had improved quite a bit, too. This gave me a LOT of free time. But instead of going out with my pilot buddies drinking beer (you should have seen some of these guys) or enjoying the New Mexico sun by the pool, I spent afternoons and weekends in the library experimenting with speed reading techniques. A Shocking 1,168 Words per Minute! And not only was I reading 8 TIMES my initial speed… but I was doing it with higher comprehension than ever before! Comprehension is the key to rapid reading. The rule of the game is that you can never go faster than you understand something. If you do, you're wasting your time. This is where most speed reading courses fail. They teach you to increase your speed, but they don't teach you to maintain comprehension at the same time. Many of these programs are really nothing more than plain old skimming in disguise. Move your eyes over the page like a couple of bees in a bottle, and there you have it. Pathetic. You also need to understand that as a skilled speed reader you're not reading everything at the same speed like mindless robot. You vary your speed according to… (1) how difficult the reading material is… (2) your level of vocabulary… (3) how familiar you are with the subject, and… (4) your purpose for reading. "It varies. I can go at amazing rates over 1,000 wpm when reading lighter materials like novels, biographies, news articles etc. But for something as complex as meteorology or technical books on airplane systems, I slow down to around 600 wpm to maintain comprehension." But considering I couldn't even read a simple novel over 156 wpm before, you have to agree the results are pretty darn good. Even when the material is extremely technical, I still go almost 4 times faster. And when I show you my method, you can easily do the same. ► You can shave off 40 minutes from every hour you read! ► You can read 3 books in the time you used to read one! Let's begin by addressing the first question and then we'll talk about comprehension more in detail. The initial reaction most people have when I throw numbers like these on the table is that it's downright impossible for them to attain it. In fact, learning to multiply your reading speed IS difficult to do. But only for a small category of people – those that have a reading handicap like dyslexia. So how do you know if you have a reading handicap? How do you know if you're dyslexic? Easy. All you need to do is a simple test with your daily newspaper. Pick an average article and read it out loud to a friend or family member for a few minutes. If on average you get stuck on more than one word in ten, there might be a problem. The rule doesn't apply if it's a foreign langue and your vocabulary in this language is so-so. I'm talking about if you're an American and you're reading an English language newspaper and have problems with more than 10% of the words. We call this the newspaper test. Most people pass it. And if you pass it you can quite easily become a speed reader and go from where you are right now to reading 2, 3 or even 5 times faster. Here is the important part: I don't care if you read that newspaper slowly. I don't even care if you're going painfully slow. All I care about is whether or not you can read without getting stuck on individual words or letters. It's really that simple. My course caters to normal, slow readers. It is not directed at readers with a handicap. And the reason a normal reader – even someone reading as slowly as I used to do – can increase their speed to such impressive levels so quickly, is that OUR READING TECHNIQUE (the one we were taught in school) HAS SO MANY MISTAKES BUILT INTO IT, IT'S SCARY. …Simple arithmetics reveals that he can suddenly provide his employer with between $8,000 and $20,000 more productive time each year! That's why good reading skills have become one of the most valuable assets a person can have in the modern information economy. It's MONEY IN THE BANK. In fact, I began to understand how valuable good reading skills really are, when Ericsson, the telecommunication giant, called my company up in 2000 and ordered $100,000 worth of speed reading training for their employees. It's true. One hundred grand! What stops most people from becoming effective readers, however, is a little "lie" they have bought into (and I'm now getting to my answer about comprehension I promised earlier). It was sold enthusiastically but unknowingly by their teachers back in fourth grade. This lie was swallowed by all students because teachers are supposed to know what is right and what is wrong and help us become good readers. Have you heard the lie? "The Slower You Read Something, The Better You'll Understand It." But in fact… the OPPOSITE is true! "When we read at higher rates we are feeding information into our brain closer to its normal thinking speed. And this is the speed at which the brain prefers to absorb data. In other words, the key to memory and comprehension is to allow the brain to capture whole ideas and concepts – not disjointed words and sentences, which is what we get when reading slowly." The old word-at-a-time way of reading is like eating rice and picking each grain up by itself, rather than picking up a forkful. Soon the arm will be tired and the rice cold. What I'm saying is this: If it were true that slow reading is the key to great comprehension, then all slow readers would understand and focus on a far higher level than the faster ones. But we both know this isn't true. The reality is that deliberately slow readers not only waste time by going slow, they frequently have horrible comprehension. Listen: The Conference Board, a large research organization, released a report in 2006, titled, Are They Really Ready to Work? 431 companies with a combined workforce of 2 million U.S. employees were polled about the skills of new entrants of the workforce. The report stated: "63% of employers ranked reading comprehension ‘very important' for high school graduates. Yet 38% consider most high school graduates deficient in this basic skill." The report went on to say, "Forty-nine percent of employers in the manufacturing sector cited this basic skill is lacking in job entrants…"
38% have reading comprehension problems! Can you imagine that? I don't know about you, but that just about says it all to me: The way we are taught to read in school, simply does not work. They tell us to read carefully. And when we don't remember? Be even more careful. They tell us to go slow. And when we don't comprehend? Go even slower. Go slower?! That puts the brain to sleep faster than if someone walks up from behind with a cloth soaked in ether and puts it to your face! A lot of readers know what I'm talking about. I mean how many times have you opened a workbook to learn something, and the minute you start reading you get an overwhelming feeling you need to lay down and rest? I can tell you this: That used to be me ALL THE TIME. Friend, that's the brain saying, "Bye bye." Comprehension – gone. Does that mean all you have to do is move your eyes faster over a line of print and, presto, you're Einstein? Sorry. It doesn't work that way. And this is the secret ingredient I added to the basic technique my groundschool instructor, Conrad, gave me in 1988. The secret which has allowed me, and the thousands I have shared this technique with for the past 20 years, to not only read incredibly fast… but also… obtain rock solid comprehension. When we did our speed reading seminars, which my company started in 1997, we had students fill out a progress report at the beginning and at the end of the seminar. On average people improved their reading speed by 3.02 times (302 percent) with an increase of comprehension by 12 percent. However… whenever the purpose is a serious one – for example, when you need to talk intelligently on the subject, give a speech, ace a test in college, write a report, etc. – we add specific comprehension strategies you can use to "deep study" the text. This adds far more than 12% to your comprehension. How to Read ONLY What You Need For Your Purpose And AVOID READING IN THE FIRST PLACE! To prove to our students how powerful this concentration strategy is… while they are reading, we literally stand in front of the group (usually 25 people) lifting chairs up over our heads, dropping down and doing push-ups and other crazy stunts. When we ask them afterwards if they knew what was going on in the room, not a single one has a clue… they were all too immersed in the text. Now, let me ask you this: Doesn't it make sense to master a broad range of skills like these rather than learning a single technique that, all it does, is allow you to go through your book at 200 miles an hour like a raging bull? You'd be a fool to use just a single-dimension approach – right? And doesn't it also make sense to obtain these skills from someone who for over 20 years has taught speed reading to thousands of people in seminars, private coaching sessions and self-study programs with proven results? I am red-hot boiling MAD! I am mad because it breaks my heart when I see how innocent people with reading difficulties are being taken advantage of on the Internet. Just because the Web makes it possible to do so, all of a sudden dozens and dozens of "instant experts" crawl out of the woodwork. People who perhaps have read a couple of books on the subject of speed reading… then slapped together some cheap e-book in a hurry, and built a website to sell it. I even had one student in 2001 who, right after training with me, decided he was ready to write a book. I read the book after it was published (it was sold in bookstores). He had misunderstood the whole concept and was doing more harm than good to his readers. FACT #1: Knowing how to speed read, and knowing how to teach speed reading, are two different things. FACT #2: The term "Speed Reading" is neither proprietary nor describe a certain type of technique or method of rapid reading. There are as many techniques as there are frappuccino blends in a Starbucks coffee house. An estimated 75 to 80 percent don't work AT ALL. Because I have read most, if not all, of the books published on the subject since 1924. I have gone through the products that are being sold on the Internet with a fine-toothed comb. And I have attended many, many seminars over the years. Some techniques are great, but most are not even worth the paper they're printed on. I can promise you this: When you follow my simple step-by-step reading plan, you will… (1) Learn a method that WORKS and works FAST… (2) Learn speed reading THE RIGHT WAY so you can acquire the skills with minimum frustration… and (3) Learn a broad range of skills so you can become a FLEXIBLE reader – not only enjoy your favorite authors the traditional lazy way, but also be selective and fast whenever the situation calls for it. And if you worry that you don't have what it takes to become a powerful reader – please don't. You see..
"I started out reading 282 words per minute – now I read 916 wpm"
"I cannot believe how easy it is to read faster. I started out reading 282 words per minute – now I read 916 wpm for novels, and 632 for more technical reading! For the first time what I read is clear as a bell. It's like you say Jim, going slow gets in the way of understanding. "I am so grateful to you for releasing your secrets to the rest of us who have been struggling with slow reading all of our lives. "Jim's course gives you the skill(s) you need. Period." "I have embraced a new truth: If a person needs improvement in an area of life, they usually need to learn a new SKILL. "Too many people make the mistake of thinking that something is wrong with them if they are slow readers, and that they'll never be able to overcome their obstacle. That used to be me. "I can testify to the fact that Jim's course gives you the skill(s) you need. Period." "I save between 8 to 12 hours per week"
"I work in the research department of a large company and I spend somewhere between 20 to 25 hours per week just reading. It includes everything from reports, scientific journals and newspapers to online research. "I never believed learning these techniques could make such a difference in my job. I can honestly say that I get as much done in half the time after the course and save between 8 to 12 hours per week. This allows me, first of all, to finish all my reading at the office and not bring material home over the weekends. It is such a relief. "My husband also tried the techniques and he loves them. Next, we are going to allow our 12-year-old son to learn them. I am very excited and hope they will help him get ahead in school. "...from 269 to 891 words per minute and even increased my comprehension by 10%!" "Hi Jim. I just wanted to drop you a quick note to tell you about the results I have gotten with your program. "First of all, you have no idea how much I've been struggling with my reading - especially in my early school years. After learning your techniques it's like I feel I can take on anything. I went from 269 to 891 words per minute and even increased my comprehension by 10%!!! "When I read the story about your background I felt a connection. I thought, if he can do it so can I. And I could. I am very, very grateful for what you have created. I just wish I had known about this before I went to college. All that stress - gone." "I've really been helped by the techniques Jim teaches"
"As a researcher and reader of scientific articles I've really been helped by the techniques Jim teaches, both by the way of reading such articles and how to memorize them." "Jim's course is the most important one I have taken during my 4 years in college"
"It would be an understatement to say that this speed reading program has changed my life. Before, I only had time for the front page and the editorials in the morning newspaper, now I have time to go through it all. Study literature that made me give up right from the start, I now go through with ease. During the summer I have read several great classics that I have always wanted to read, but never had time for. Jim's course is the most important one I have taken during my 4 years in college." "Belongs in the top three!" "I have probably attended some 30 different training programs during my career. This one belongs in the top three!" "The only thing I regret is that I didn't learn this 20 years ago"
"I have never before experienced a more powerful and measurable improvement in such a short period of time. The results are sensational considering how quickly and easily I tripled my reading speed with an increase(!) in comprehension. The only thing I regret is that I didn't learn this 20 years ago." "I've peaked at 985 words per minute"
"When I started, my reading speed was 295 words per minute and my reading comprehension was 70%. After two days the speed had shot up to 665 words per minute and the comprehension had increased to 100%. Having practiced this for some time now, I have reached an average speed of 750-800 words per minute, but I've peaked at 985 words per minute. Sometimes the text appears easier, and sometimes I may be in better form, but there is no question that the results are real." Are these readers any different than you? No, they are not. They represent businessmen, businesswomen, students and ordinary people with the same kind of skills and intelligence you bring to the table. The only thing they did was to put their doubts aside… and give this new method a try. If you too, can simply put your doubts aside for a short time. You can see for yourself just what it's like to read two, three… even five times faster than you ever dreamed possible… concentrate like a zen master during reading… and comprehend and remember so much, so fast, your colleagues, school mates and teachers will think you are cheating! Let me show you how to become a master of information and gain an almost magical advantage over everyone else you're competing with. Who ever said business – or even school – should be fair? Success goes to the most astute and agile-minded, the best prepared and proactive people. And almost always, the best informed people will win out. My method will enable you to “out-read” and “out-learn” your competitor – and in the process, catapult your business or personal career to the success you deserve. An “Insider” Shortcut Program To Develop Killer Reading Skills That Will Supercharge Your Reading Speed, Your Comprehension, And Your Ability To Learn… Even If You Flunked English! For years the only way to learn this amazing reading method was to go to one of my seminars… and that wasn't cheap! In fact, since my company started doing the seminars in 1997 we have been charging $1,500 for our three-day standard program – per person! And my fee for private lessons was $295 per hour, with a minimum of 10 lessons in a package! That is, if you could nail me down for an appointment. If I would take some time off from my hectic schedule and write a self-study course… and sell it to people for a slight fraction of my fee… maybe within a year's time so many people worldwide would buy the course that I would never have to give a personal lesson or seminar again! I could actually make a better living by charging “spare change,” while enlarging my audience, than I could by putting 25 people in a room and charging them fifteen hundred bucks a head. This is an unbelievably exciting package… designed so you don't risk a dime checking it out in your own home! What you get is a GIGANTIC manual containing 320 pages of highly-guarded reading secrets. The package details exactly everything you need to know to master the Visual Flow Reading technique in the shortest time possible. Nothing has been left out… you get the same instructional format that I use for my hyper-expensive private lessons and seminars… with the added advantage that you have it all written down, so you can go over any part you like until it becomes second nature! PLUS: With my personal insert Speed Reading Coach you can coach yourself in a convenient Q&A-format to avoid any type of difficulty during training. These are the things I have come across time and time again working face-to-face with my students over the years – things that could lead to unnecessary frustrations. 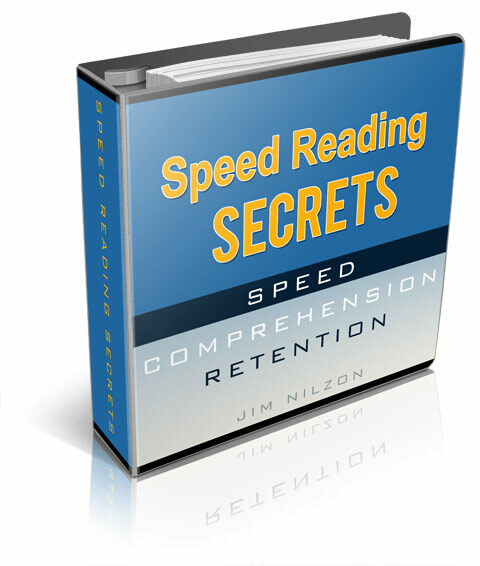 Speed Reading Coach will make the ride smooth and easy. And here's the best news of all: When I do something, I always try to go the extra mile (I guess it's part of my “eliminate-all-doubts” personality). So when I developed Speed Reading Secrets I began by doing 6-months of extensive research where, again, I read up on all the new discoveries in the field of reading, memory and learning science. I then plugged these findings into my course to make it better than it has ever been. Not only that, but I took an entire year off to write the course so it would be every bit as good as my private lessons and seminars where I guide my students personally. How to avoid energy-sapping during reading – and guarantee yourself repeatable high-energy, high-performance sessions when you read and study! Naturally fast readers: What they are doing. How they are doing it. How they have learned how to do it. Reading in bed: When it's good for you. When it's bad. Why. How to handle worst-case scenarios: when you forget you have a test, are expected to do a presentation at a moment's notice, have an hour to read a book… and the like! How to read scientific journals and technical reports with less effort! How to define your purpose for reading something… and… then use the techniques which will enable you to meet that purpose at lightning speed! Did you know that… a college education is worth $38,636 more a year in earnings? The average US worker with a bachelor's degree earned $62,036 in 2015 compared with $23,400 for the average worker without a diploma. That's an extra $1,738,620 (over 1.7 million dollars!) by the time you are ready to retire at 65! But most American students, even those with the greatest native intelligence, perform well below their potential in school. In fact, according to a recent U.S. Department of Education study, more than 95% college-bound high-school seniors lack the necessary reading skills to enable them to succeed in college and their future professional lives. The most important questions to ask in setting your learning goals! How to completely lose respect for those 1,000-page books most people get sick just looking at! How to cut a big, scary learning project down to manageable size, and give yourself super confidence in coping with it. Trust me, when you apply these strategies and tactics you will never again be stressed out by school. How to develop questions as you read to be able to read “between the lines,” make connections, synthesize information, and think both critically and creatively. You begin enjoying these benefits very quickly – in most cases, after a few hours or days. But it doesn't stop there. Day by day, week by week you'll feel your mind, your abilities, your personal power grow stronger – until you realize that you're performing as well or maybe even better than students at those fancy elite colleges! The Stress And Anxiety That Have Plagued You For Years Are Vanishing Before Your Eyes. …you will respond more effectively to personal and professional challenges. …you will create more time in your day. …you will manage your daily reading without frustration and fatigue. …you will stay on top of current reading. …you will confront intimidating materials with confidence. …you will rediscover the joy of reading. …And not only will your skills give you a much more relaxed attitude towards information. Just imagine being able to learn anything you want, being able to excel in anything you want. Pretty much, the doors are open. Okay, let's cut to the bottom line: How much is this program? Look, obviously this isn't going to be like buying some cheap book in a bookstore. Nor should it be because this deals with highly specialized knowledge. This is advanced training and it generates specific, measurable results that saves you bundles of cash over time, so it merits being pricey. I hope the figure you're thinking about is, well, not astronomical, but large enough to be grounded in reality. As you recall, I already shared the fact that my seminar attendees paid a sizable $1,500 tuition for our 3-day workshop and that's not counting, hotel, food, travel expenses and time away from the office. And for private consulting one-on-one I charged $295 per hour with a minimum of 10 lessons in the package. Since 1997 I've also sold an “underground” self-study course (not meant for the public) exclusively designed for executives and staff of large corporations who couldn't get away from the office for three full days. To be fair to seminar attendees who paid $1,500 we charged $600 for this course. One colleague tried to convince me that I should charge the same $600 for the Speed Reading Secrets ‘at home' course since it is even more advanced. I seriously considered it. However, I am not greedy and didn't want to put this critical skill out of reach for students (who never seem to have any money). So I'm not going to charge anywhere near $600 or even my $295 hourly rate. In fact, to keep the price down to a minimum I have made the program available for immediate download. That way I save money on manufacturing and fulfillment and can pass on the savings to you. I'm going to discount Speed Reading Secrets vs. the original ‘at home' course down to a generous $49 (a full $551 discount). However, I will only extend this steep discount for a limited time. After this “marketing experiment” is over, I will raise the price to $97 – because this is the price I really had in mind from the beginning. This means the price can be raised at any time, so please understand that if you leave this web page and come back to it sometime in the future, you may be looking at $97 for the course. Now is $49 a lot of money? There is no doubt you are going to do a lot of reading this year. If you're like me you probably read for at least two hours a day… Now that's 10 hours per work week or approximately 500 hours for the whole year. If your time is worth a mere $20 an hour and you cut your reading time in half (that's being extremely conservative) – you will have saved yourself five THOUSAND dollars! If you look at it another way, your total tuition comes down to just 13 cents per day if you spread it out over a year. Thirteen cents! Now, do you really think there is a better skill you can invest a measly 13 cents per day in that can reward you so richly? I seriously doubt it. My prediction is you'll make back your tuition in a couple of days. Like I said earlier, results come right away – plus, the program is highly action oriented and designed to meet real-life reading situations you encounter at work and in school. This is a MASSIVE program. 10 modules all in all that will teach you everything you need to know about reading and learning. Nothing has been left out. PLUS you'll get 4 valuable gifts – A $89.95 Value, FREE! 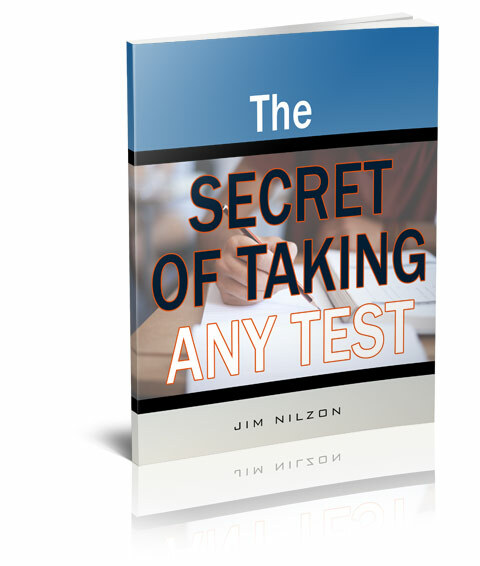 FREE GIFT #1: The Secrets of Taking Any Test! A $22.50 value, FREE! Because test-taking is a skill apart from learning course material, you might still score low even if you have studied hard. Here's the truth no teacher will ever tell you – PLUS what you must do to handle anxiety, a big cause of failure for test-takers. FREE GIFT #2: Fortune 500 “Sneaky Tricks” For Saving Time! A $17.95 value, FREE! In this startling exposé, I reveal your deadliest time traps and how to fight each one. 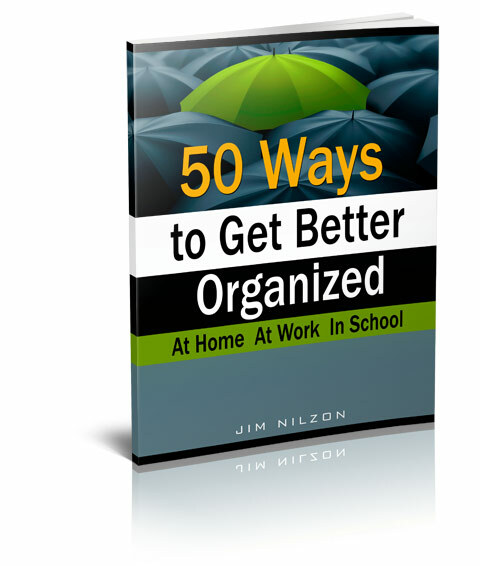 FREE GIFT #3: 50 Ways to Get Better Organized! A $19.95 value, FREE! You don't have to stand idly by while your life is falling into a disorganized chaos of clutter. In this eye-opening guide, I introduce you to 50 powerful organization principles for taking control of your money, house, time, family – and life's big changes. Fortunately, organizing is easy. You only need to understand a few guiding principles and hands-on techniques to keep your life in order. FREE GIFT #4: How to Make Your Child a Good Reader! A $29.55 value, FREE! Younger Americans read less and they read less well. Because they read less well, they have lower levels of academic achievement. In fact, nearly two-thirds of American teenagers drop out of school and this is deeply connected to declining literacy and reading comprehension. With mediocre reading and writing abilities people do less well in the job market. Numerous reports on the nation's reading trends show that poor reading skills correlates heavily with lack of employment, lower wages and, unfortunately, crime. This special report reveals how to build a stronger language foundation and strengthen your child's reading ability at an early age… it reveals step-by-step how to make reading a natural part of your child's life. You don't need to be a teacher, or even the best reader, to help with a few simple activities, including your time and interest. I'll show you how easy it is to prepare your child for future academic success in a big way. You Also Get A No-Risk 100% Money-Back Guarantee! Here's how it works: Order your personal copy of the Speed Reading Secrets Self-Study Course, and use it like you owned it. If, for any reason or for no reason at all, you aren't completely satisfied within 56 full days (by which time I think you will have saved a ton of time on your reading) – just send back the material, and I will personally guarantee you get a 100% refund of your money. There will be no questions asked, and no hassles, either, at any time. And, please don't forget, when you try out Speed Reading Secrets you also get the 4 free reports as my gift to you. It means that if you ever decide to take me up on my guarantee, the reports are yours, FREE to keep, just for putting your trust in me. Fair enough? Would you try to fly an airplane without training? Probably not! But reading a book is far more intricate than flying an airplane. So why go on learning and reading with tools that haven't changed much in the past 100 years (reading is still taught the same way it was taught in the early 1900's) instead of giving your brain the tools it needs to get the job done quickly and effortlessly? I've done everything I can to get you started. I've made this website available with dozens of critical facts about reading. And I've pointed out that your slow reading, that is not your fault. …But the fact is, nobody can take responsibility for your reading skills but you. If you decide that you want more speed, more comprehension… that you want to use your brain more effectively so you can remember what you read… that you want to eliminate troubling learning blocks and stop worrying about tomorrow… you can have the successful life you deserve. I'll show you how. Or, you can decide to do nothing. Accept the limitations of being a slow reader. Trust your fate to the techniques you learned in school that only deliver results to a small percentage… and leave the rest of us confused, frustrated and anxious. Only you can decide if your life – and the educational accomplishments you depend on – is worth 13 cents a day and a few hours of your reading time. I strongly recommend that you give Speed Reading Secrets a chance to give you the reading skills you deserve. I hope to be welcoming you to our speed reading family today. Help You TAKE CONTROL of Your Reading Future – NOW! This is a watershed moment for the economy, for corporations, for people entering higher education and most importantly, for YOU. We live in an entirely new work environment than 10, 15 years ago. And the Internet is just one of the things affecting us. If you read now like you were taught in sixth grade, where all reading training came to an end, you're going to lag behind and that's 100% guaranteed. That's why I have prepared the course I'm offering now to help you remedy reading mistakes caused by school and seize what I believe is going to be the biggest competitive advantage of your career. Won't you at least take a look at my program to see if it could be right for you? After all – you risk absolutely NOTHING by doing so! ► Read faster without sacrificing quality. Cover 3 times the information without skipping a single word. ► Find the essence of large bodies of text, without wasting time on irrelevant information. ► Tackle the toughest reading materials with ease and confront intimidating books with confidence. ► Adapt your technique to different types of materials and reading purposes. Become a FLEXIBLE reader. ► Understand what you read. Remember what you read. And improve concentration – significantly. ► Cut learning time by more than 1/3 and get better grades without the usual stress. ► Take better and faster notes, plus collect, classify and arrange information intelligently so you can find exactly what you need in the future. ► Spend less time reading and more time working. ► Regain “pleasure reading” time you may have given up years ago – find the time for your favorite novelists. FREE GIFT #1: The Secrets of Taking Any Test! 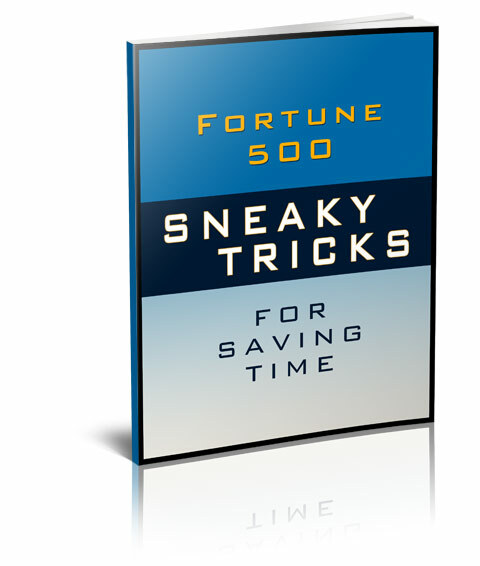 FREE GIFT #2: Fortune 500 “Sneaky Tricks” For Saving Time! FREE GIFT #3: 50 Ways to Get Better Organized! 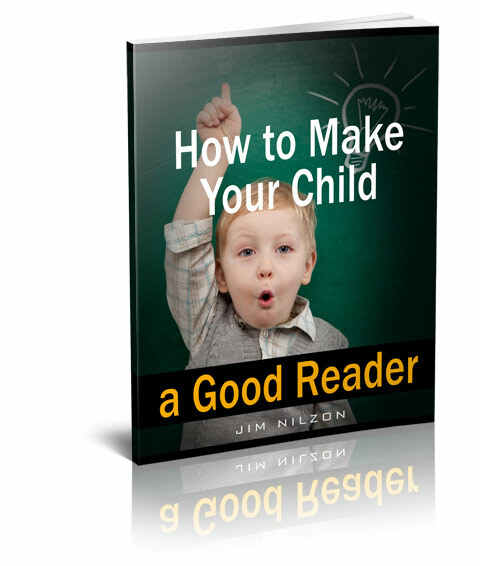 FREE GIFT #4: How to Make Your Child a Good Reader! That's FOUR valuable gifts – an $89.95 value – FREE! … I'll GLADLY rush you a FULL REFUND! YOUR Job May Be In Danger! It's amazing how many people are missing the big changes that are going on around us right now. They've seen their earnings erode – and routine work disappearing as it is increasingly automated – with their own two eyes. They've heard news anchors like CNN's Lou Dobbs explain why offshoring is causing America to lose jobs… and why outsourcing is the new standard practice for many firms today. A large number of magazine articles report the same thing. Markets and technologies change faster than ever: Firms are now realizing how incredibly important it is that all members of their teams have a very solid education foundation, of the sort that will make it possible for them to learn new skills quickly as technologies and consumer tastes change. America's ability to compete on the world stage is in danger: Beginning high-quality engineers in India are being paid the equivalent of $7,500 per year. A graduate with similar qualifications in the U.S. expect $45,000 per year. Since these two people are competing in the same market – why will anyone in the market for engineers pay $45,000 when they could pay $7,500 for the same skills? That's correct. Very few. And if we go beyond engineers and include in our analysis people with strong mathematical and analytical skills, then the scale of the problem starts to come into focus. If these trends continue unabated, more and more Americans will see themselves frozen out of the American dream forever. America is losing jobs at an alarming rate: Declining costs of transportation and telecommunications is putting low-skilled workers in high-cost countries in direct competition with low-skilled workers in low-cost countries… and that is a competition that American low-skilled workers can only lose. "High Skills at Low Wages!" Educational attainment in obscure parts of the world is rising dramatically: In a few decades, the U.S. share of the global college-educated workforce has fallen from 30 percent to 14 percent, notwithstanding a very large increase during the same period in the fraction of Americans entering college. We are now in DIRECT competition with other relatively poor countries that have managed to produce large and growing student bodies whose math and science performance is world-class. Our workers' literacy skills are mediocre compared to other countries: The International Adult Literacy Survey (IALS) recently gave us the scoop. Of the 20 countries and language groups surveyed, the U.S. ranked 9th in prose literacy, 14th in document literacy, and 13th in quantitative literacy. Each year, approximately 1.2 million students fail to graduate from high school. That means that every school day, 7,000 American high school students become dropouts! Yet virtually all analysts agree that those who do not have at least two years of real college-level work will be in real trouble as adults. That's more than three-quarters of the young men and women who originally entered high school with such high hopes. "Highly skilled people with roughly the same qualifications are competing directly with each other, no matter where they are located on the globe!" If you think you can get by with inferior reading and learning skills, please look at what you have stacked against you. Do you want to spend your future trying to catch up… being stepped on by others… and perhaps losing a job that you depend on? Of course you don't. © Copyright SpeedReadingSecrets.com 2018. All Rights Reserved.